In conjunction with the Art Museum at the University of Kentucky exhibition Curves in Math, Waves in Glass, Origami and Glass Works, father-son team, Martin Demaine and Erik Demaine, will discuss the relationship of art and mathematics in a lecture scheduled April 24. The exhibition, which opened April 21, runs through May 26. Each year, the Department of Mathematics and the Department of Physics and Astronomy jointly organize the Van Winter Memorial Lecture, which brings in distinguished speakers to give lectures on matters of common interest to mathematicians and physicists. This year's speaker is Paul Steinhardt, professor of physics and astrophysics at Princeton University, and director of the Princeton Center for Theoretical Sciences. In this podcast, we spoke to Sumit Das, who will be hosting the lecture, about some of professor Steinhardt's research. 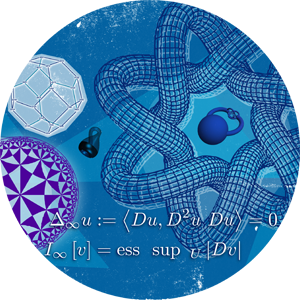 Professor Steinhardt's lecture will be titled, "Once Upon a Time in Kamchatka: the Extraordinary Search for Natural Quasicrystals." The presentation will be on Friday, March 23, from 3:15 pm to 4:15 pm, in room 139 of the Chemistry-Physics building.